So as I alluded to yesterday, I was royally and completely bombed by Wes from Jaybarkerfan's Junk. His radar focused it's attention on my location, and fired. If you read my post, I gave a preview with this image. Give a hoot - don't pollute. 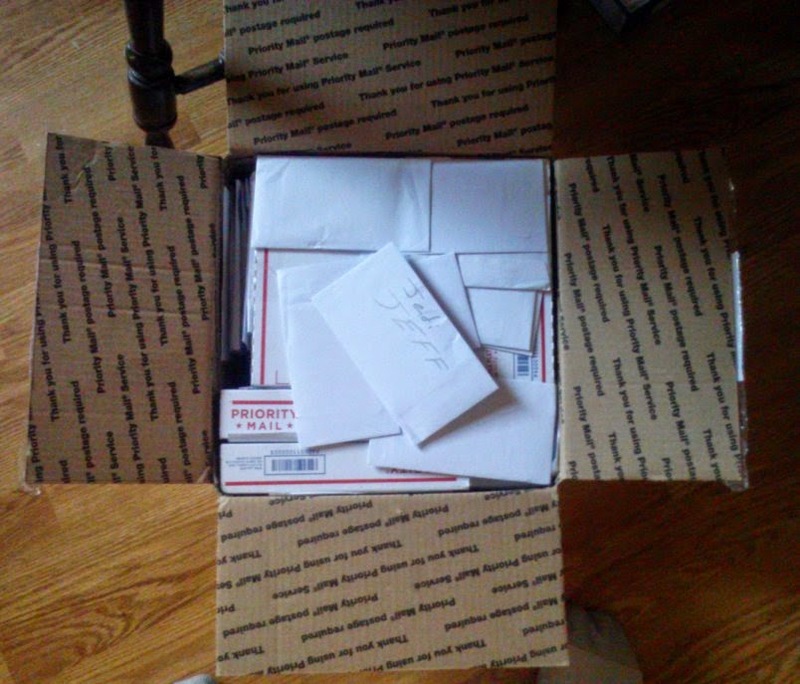 Total, you see 8 of the small priority mail boxes, a 100 count box, and about 175 envelopes. 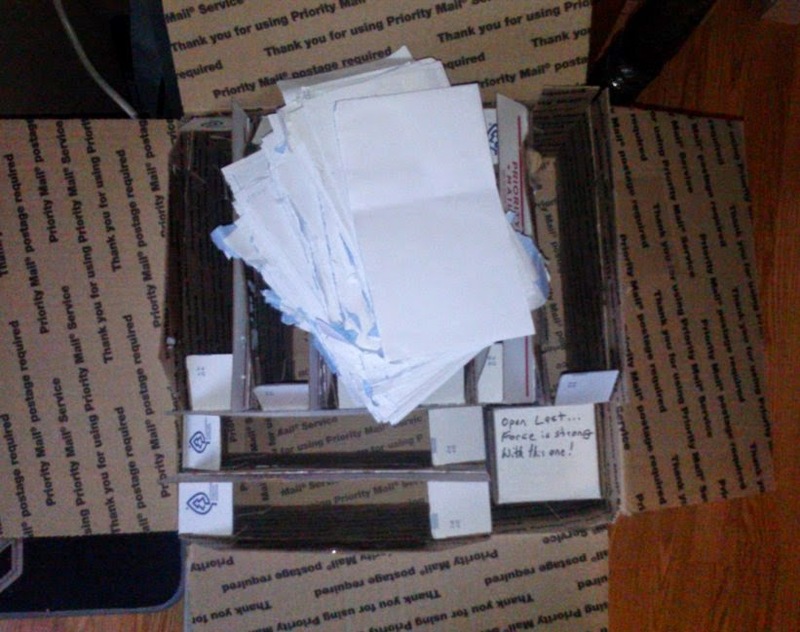 When we weren't pulling envelopes out of the boxes, they were strewn around the box. Thank the maker for letter openers - that's the main gist. Now, before a storm hits, the weatherman will usually give you a warning of what's about to come the following days. A couple days before the box showed up on my doorstep (literally - no room in the mailbox), a smaller mailer was delivered. And like those days where you think the meteorologist is off his rocker with his prediction, this mailer was nothing like what I ended up receiving, So, just like the flood that Noah survived began with a single raindrop, let's start with an innocent padded envelope. That Lemon photo is pretty funny, with the single flapped helmet messing up his hair. 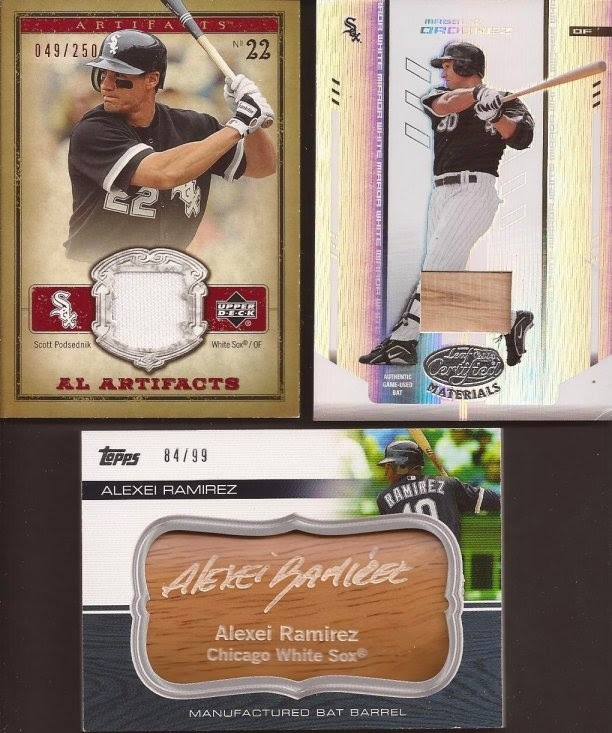 A nice Konerko for the Sox collection as well as a white Quentin swatch. I may start a Podzilla collection - I haven't decided yet. I think I'll see what I have dupe wise and make a decision. Magglio didn't have the career he should have, either here or in Detroit. The Alexei manu-barrel is the 2nd in my collection, paired up with a Dye I received many moons ago. If anything could be foreshadowing of what was to come, this card fits it. Because it it both very cool, and "what the hell"? Prior to this mailer, I had a total of.....let me count them up...... umm.....carry the 6..... ZERO. 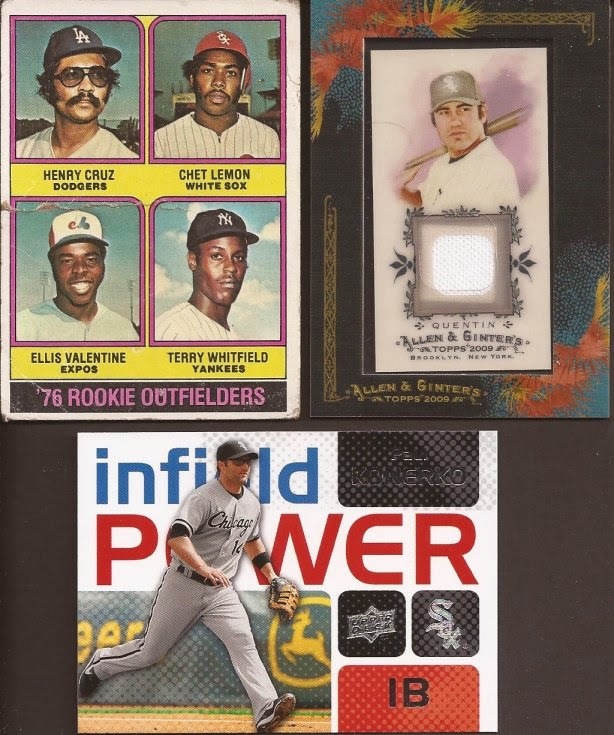 I had no Benchwarmers in my collection, and unless one appeared in a dime box, I had little plans to add any. That is more of a "not my collecting style" statement than a "these cards are sexist" comment. But I will add this to my binder. So that's it. The forecast over the next few days included darkness and cold temperatures. Bundle up, if you plan on tagging along.